? Why is the mother knocked off at the beginning of the movie? She is always poor, with a deadly disease.
? While the hero is hurt and fighting for his life in the ICU, the girl walks in, cries, prays and kisses him, and boom, he is up.
? The reel heroine is beautiful, but clueless about it. Plus, she never carries an umbrella in the rain.
? 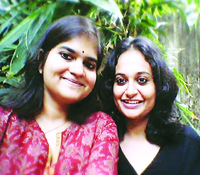 Intellectual girls always wear cotton saris. 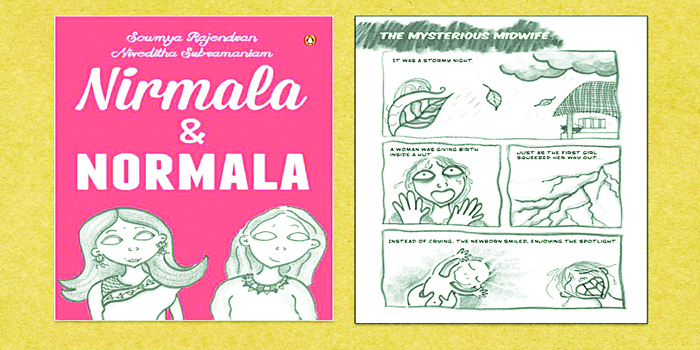 In the book, when Nirmala plays an intellectual girl, she wears a white sari with block print!
? Boys always have the money to chase the girl to the US and find her in just one day. Where do they get the money from? How do they know where she lives? And how do they spot her and woo her? Good question.